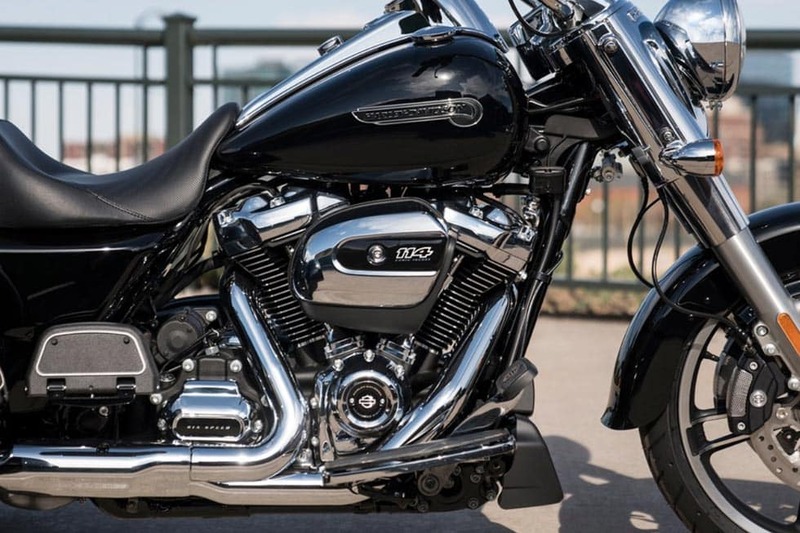 Replaces the Milwaukee-Eight® 107 so you get stronger passing performance and acceleration. 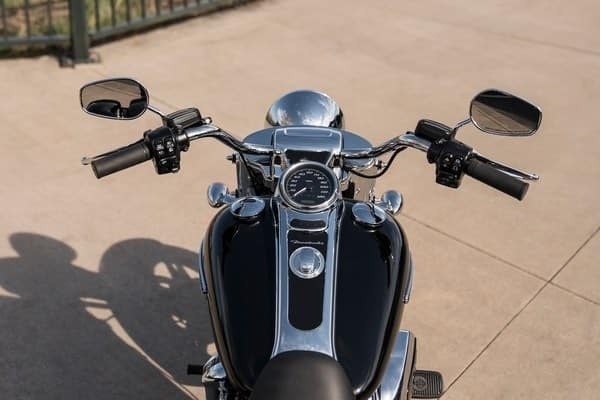 The 12-inch Mini-Ape hanger bars on the Freewheeler® model are the tallest rise you can get from an OE manufacturer. 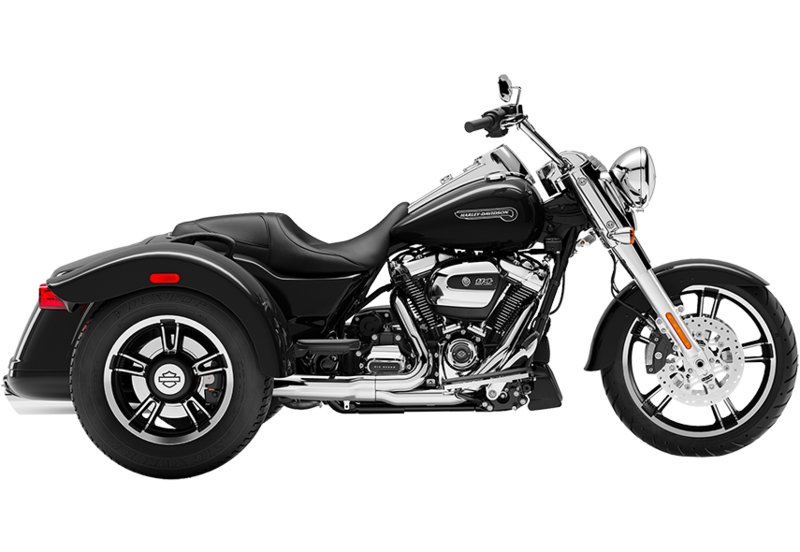 They pull the hand controls back toward the rider, and reduce the force it take to turn the front wheel for easy riding and easy handling. 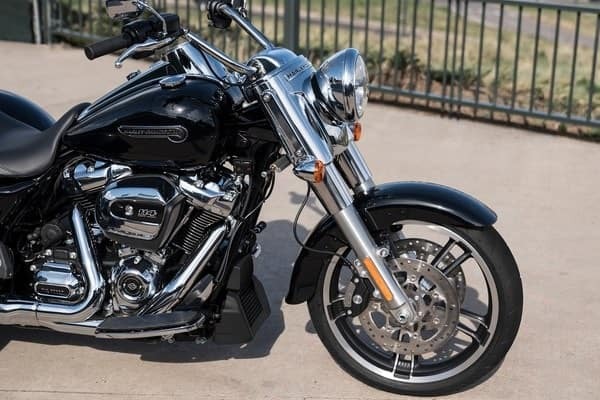 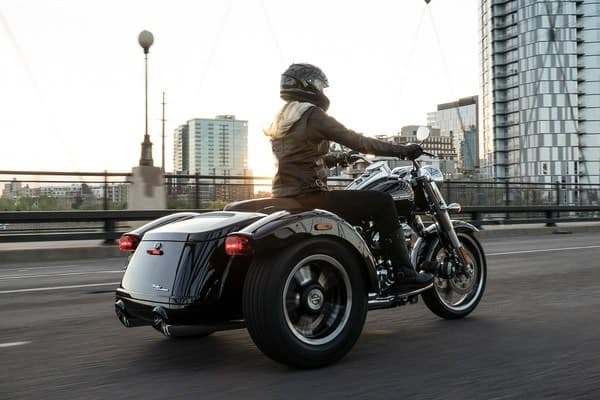 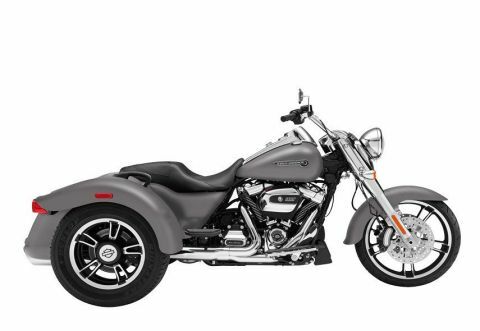 The pair of Harley-Davidson® bobtail rear fenders give the bike classic cruiser lines and styling details. 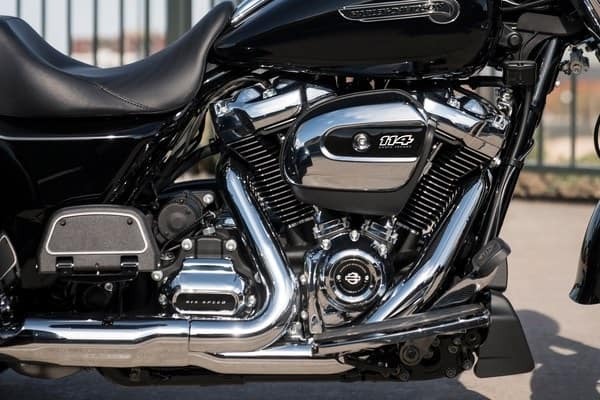 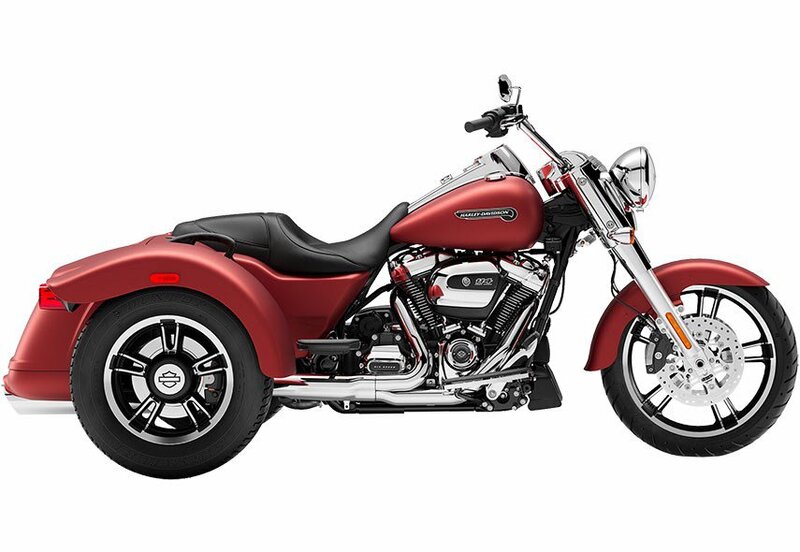 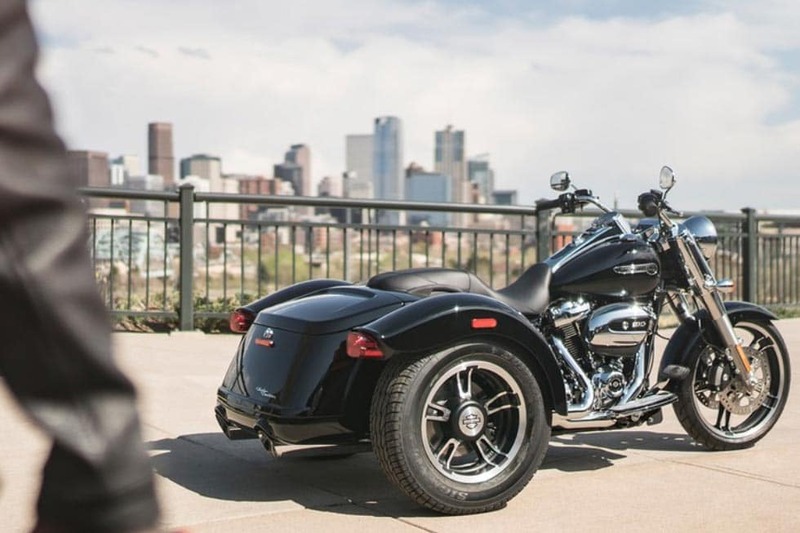 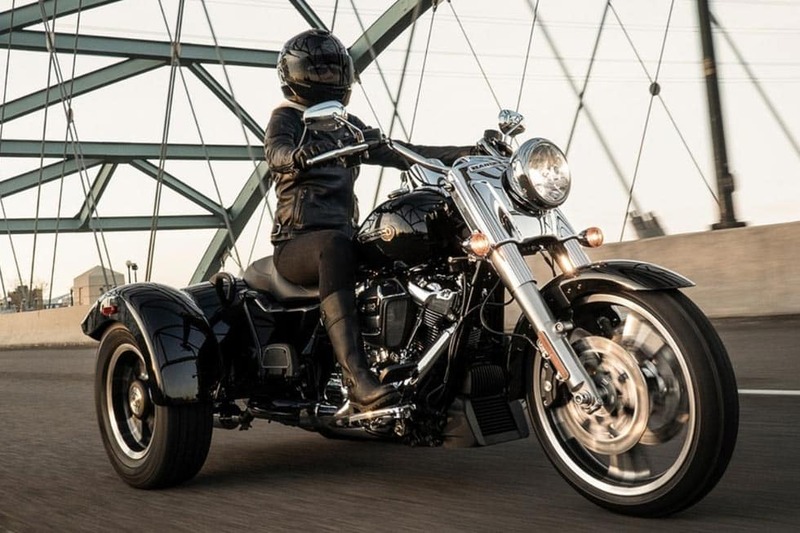 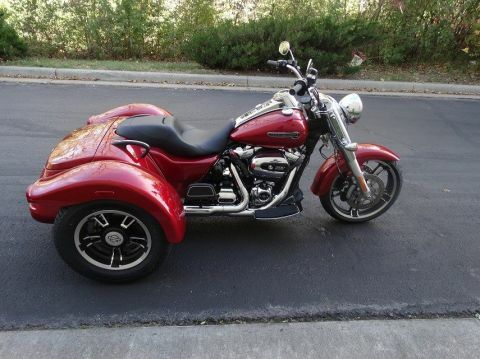 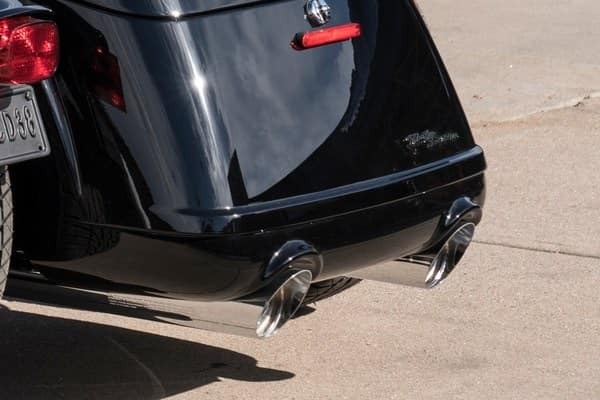 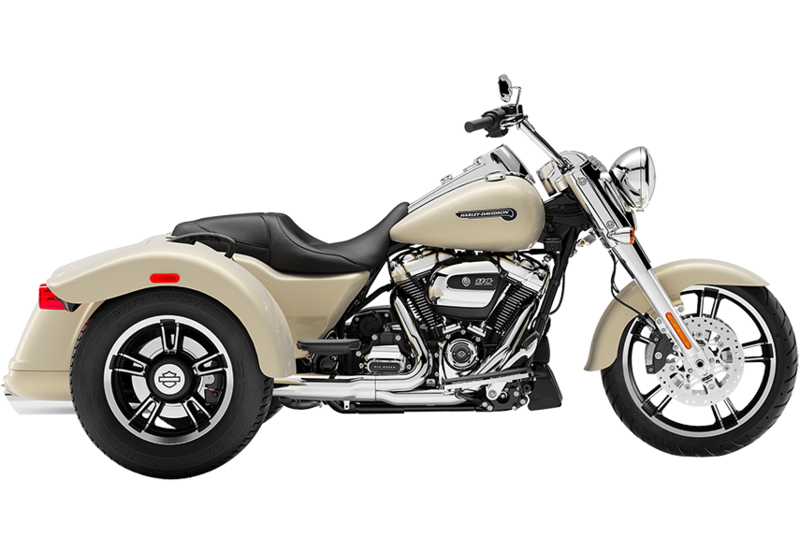 The Milwaukee-Eight® 114 engine puts its exhaust note out to the world through these chrome slash down pipes. 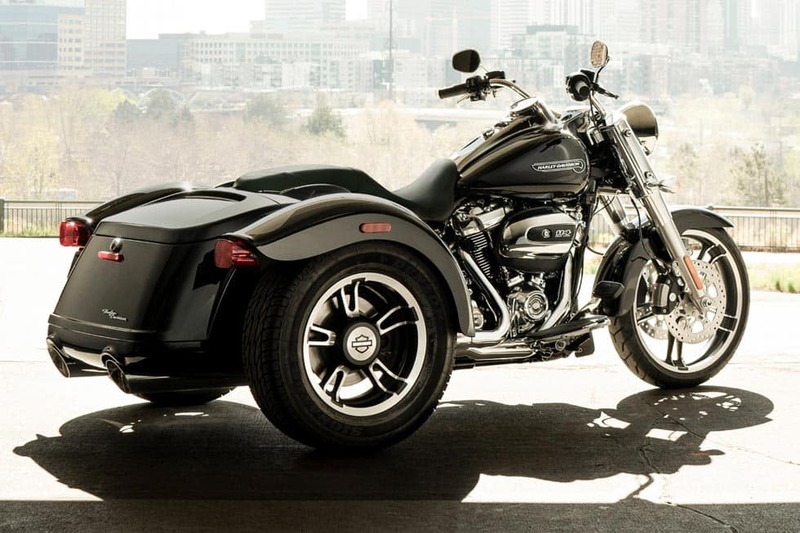 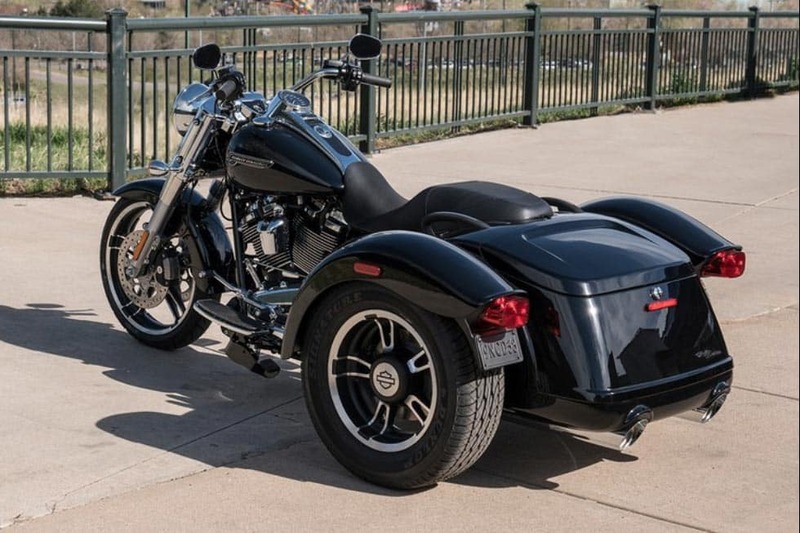 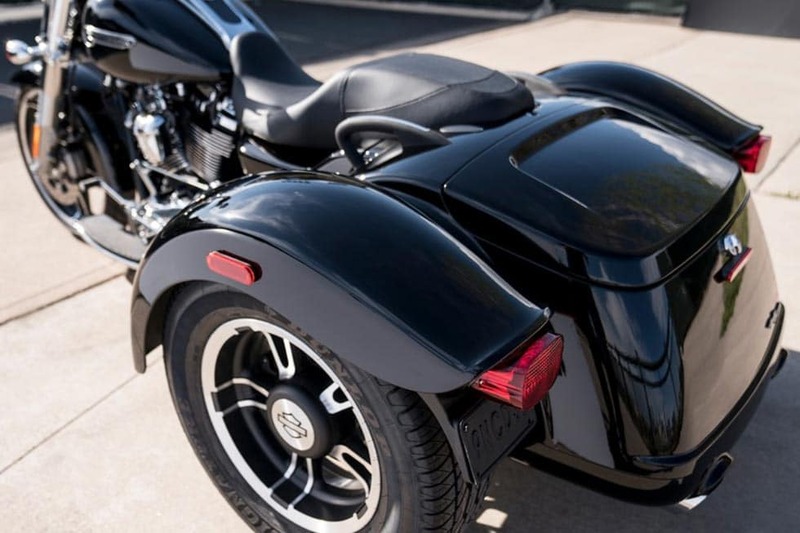 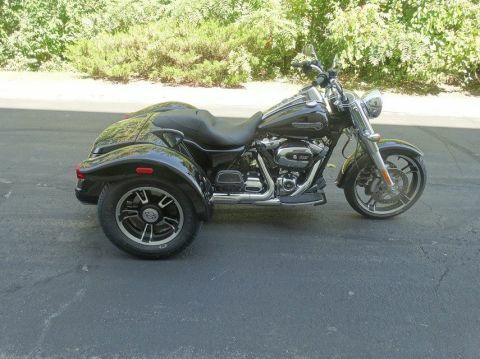 There’s an Enforcer front wheel leading the way, and you’ve got two more to match in the back. 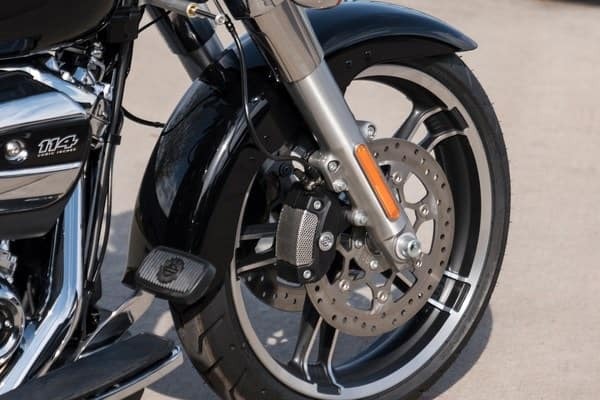 Up front, the brake rotors have been redesigned to show off more of the premium custom look of the wheels. 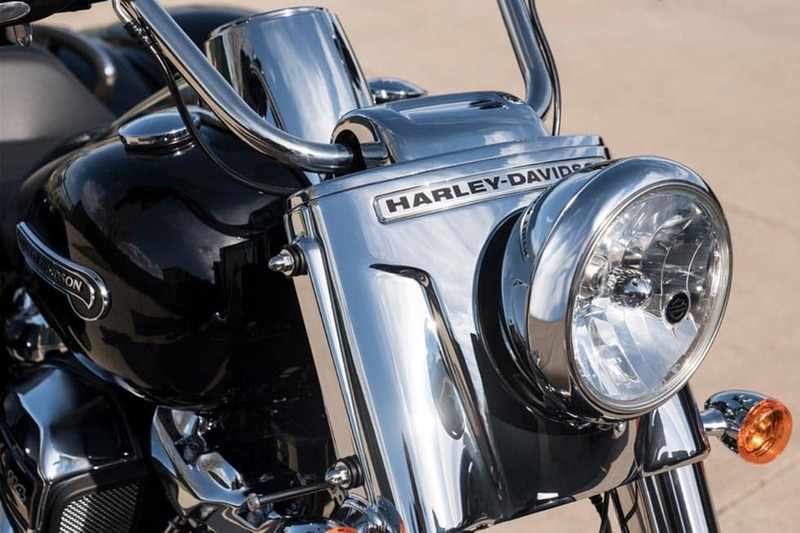 A classic style chrome headlight nacelle is tucked tight against the frame and forks for a tighter, smaller look. 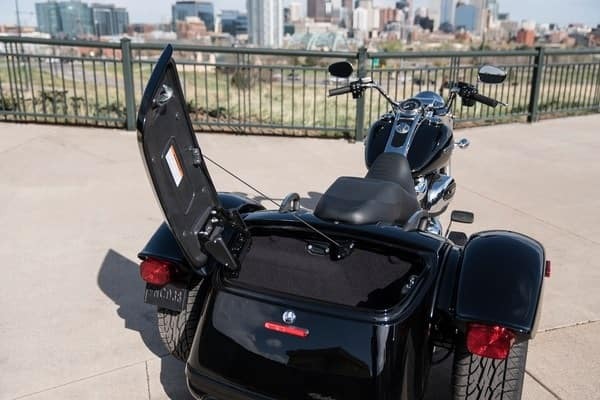 It also accommodates a clean-looking windshield mounting system. 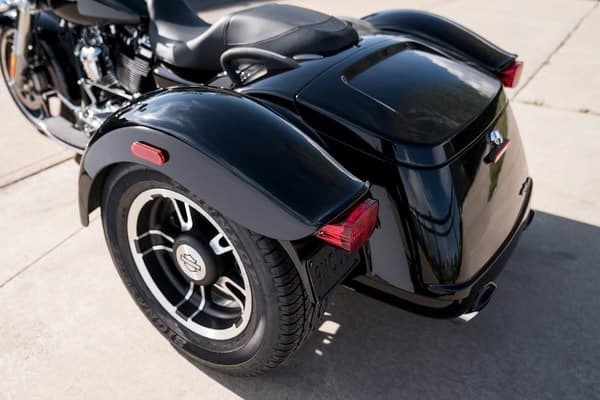 It’s a one-of-a-kind design that opens left to right (with one hand) and extends the entire length of the body for a clean look. 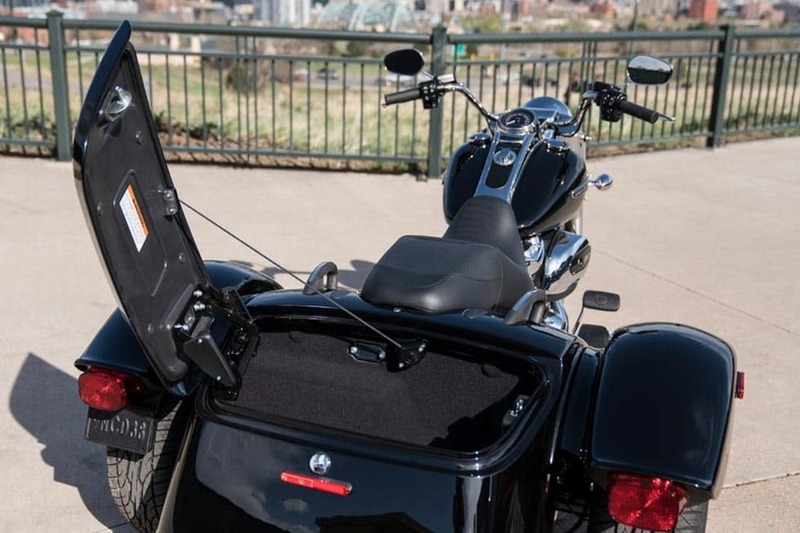 Enough cargo space to easily accommodate two full-face helmets. 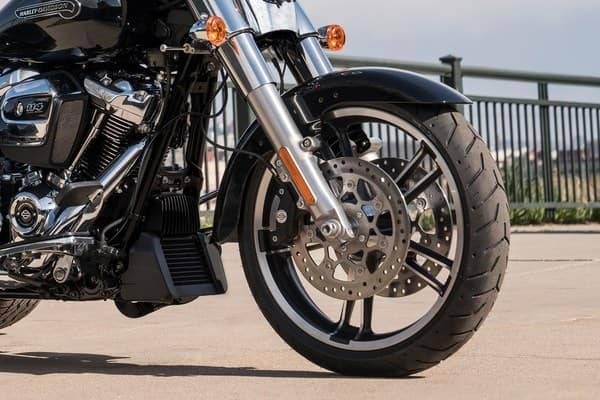 The responsiveness is dialed in with a stiff front end and 49mm front forks, plus a steering damper that controls feedback from the road. Weight, In Running Order1,118 lb. 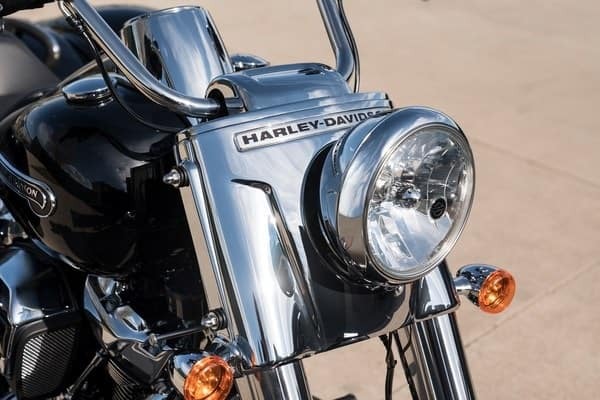 Lights (as per country regulation), Indicator LampsHigh beam, running lights, battery, neutral, low oil pressure, engine diagnostics, cruise control, security system, gear indicator, low fuel warning, reverse, park brake, miles to empty.